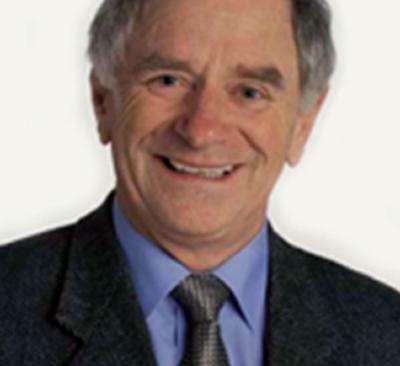 Johnny's lecture 'Johnny Ball's Funtastic Science' will take place on 13 March. Johnny Ball, popular with generations of young television viewers for his cheerful and somewhat cheeky approach to science, will be explaining how we use science in our everyday lives to an invited audience of local schoolchildren at the University of Southampton on Thursday 13 March. He will be presenting a lecture - Johnny Ball's Funtastic Science - as part of the University's National Science and Engineering Week 2008 events. Covering subjects such as mechanics with pyramid building and how modern electronics, radio and mobile phones work, he is aiming to leave his young audience with a renewed enthusiasm for science and technology. Johnny Ball is a populariser of science and mathematics, writing and presenting 23 solo television series including Think of a Number, Think Again and Johnny Ball Reveals All. His fun approach to science has done a huge amount to promote the subject and also earned him much respect in scientific circles. Johnny comments: "Whatever the future holds for us, it is only science and technology that can provide our continuing and growing needs and help us improve how we care for the planet and everything and everybody on it. Having been given the gift of understanding, it is surely the duty of each new generation to learn how we can assist and be part of that ever continuing improvement. Building the future and building our personal confidence in the future, should go hand in hand." A second lecture for schools, The Best is Yet to Come, will be given by Professor Dave Cliff, a Professor of Computer Science at the University of Bristol on Wednesday 12 March. His light-hearted presentation will take pupils through a rapid tour of some of the challenges facing computer scientists in the coming years, which promise to be a period of astonishing progress with fun developments and deep challenges. The University's Science and Engineering Week is supported by The Royal Academy of Engineering under its Shape the Future campaign. You are invited to attend a photocall with Johnny Ball and local school children at 12.40pm on Thursday 13 March in the EEE building lecture theatre on the Highfield campus. Please contact Sue Wilson on 023 8059 5457 if you would like to attend. A digital image of Johnny Ball is available on request from Communications.